Describing Kingcrow’s music is quite a difficult task, but one could state that the influence of different kinds of music, from progressive rock , ambient music, alternative rock and metal are all present in their music. With each release Kingcrow has taken a step further away from their original roots and is today one of the most exciting bands that Italy has to offer. The first incarnation of the band was originally founded in Rome, Italy, by Diego Cafolla (guitars) and Manuel Thundra Cafolla (drums) under the name of “Earth Shaker”. Inspired by Edgar Allan Poe’s poem “Raven” and driven by a will of change, the band’s name was soon altered into Kingcrow and a couple of self-produced demos/albums where recorded under the Kingcrow moniker: Something Unknown (2001), Insider (2004) and Timetropia (2006). Diego Cafolla, described these early self produced album as “public experiments” and consider them as “long demos instead of Albums” . In 2007 and 2008, together with new bassist Angelo Orlando and the new keyboard player Cristian Della Polla, and guitar player Ivan Nastasi the band performed several live shows at the biggest Italian hard rock-heavy metal music festivals (including the famous Gods Of Metal alongside Iron Maiden and Judas Priest to support the album release). In February 2009, during the recording sessions for the new album, Francesco D’Errico (bass) joined the band. Also Mauro decided to leave the band due to personal reasons, and was substituted by Diego Marchesi, a singer with outstanding vocal skills. In the same year the band signed a contract with the “Intromental Management” booking agency. In the early months of 2010 the guys finished recording their new album “Phlegethon” that was released in june of the same year under the “Scarlet Records” label. Phlegethon was a new exciting concept, and, according to the band, “This new disc finds us exploring paths of progressive rock and metal we’ve never ventured“. It was considered on an international level as a relevant masterpiece and was classed as one of the elite albums of the year. It has been near the top of the charts in some international prog-rock websites. Phlegethon promotion lasted for about two years and a half. In early 2011, several shows were performed in Italy, followed by a European tour in October as a supporting band of the Californian “Redemption”– lead by Ray Alder (Fates Warning); in Summer 2012, the band took part in another European tour as a supporting band of Jon Oliva’s Pain with Jon Oliva, ex Savatage. Among other things, in 2011 they performed at the “ProgPower Europe” festival in Baarlo (Netherlands) and in 2012 at the most famous “ProgPower USA” in Atlanta (Georgia). During the same year, the band recorded the new album “In Crescendo” that was released in February 2013 by the American label “Sensory Records”. A new conceptual album, in which sweet and gloomy atmospheres are perfectly combined with a solid and heavy sound – heavier than the previous records. The band toured along with Pain Of Salvation in North America in April and May, 2013. 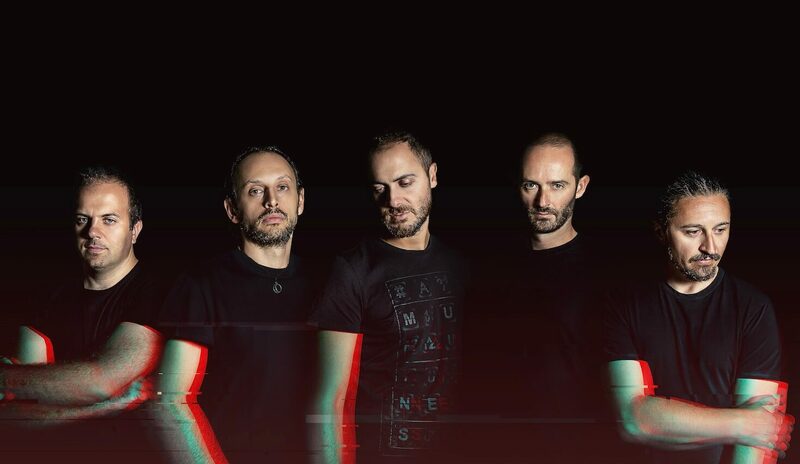 In 2015 the band released the album “Eidos” and toured Europe as headliners. The band is currently recording a new album. Describing the band today is quite a difficult task, but one could state that the influence of different kinds of music, from progressive rock , ambient music, alternative rock and metal are all present in the music of Kingcrow. With each release Kingcrow has taken a step further away from their original roots and is today one of the most exciting bands that Italy has to offer.